It’s time again for monthly favorites! I can’t believe it’s March already! February went but so fast. I’m so glad it’s finally getting warmer. On some days anyway, one day it’s 55 the next it’s 20. I’m so happy the days are finally getting long too. Sunsets are my favorite thing to take photos of and when it gets dark at 4:30 I can never catch the sunset. I was able to get some beautiful sunset shots in late February. So let’s get into my favorite things from this month. I got a half size of this liner in this month in the Sephora Beauty Insider birthday gift along with a mini of the Marc Jacobs Le Marc Lip Crème Lipstick. I love this liner! It is so smooth and creamy! And it has such great pigmentation and great staying power. I swatched it on the back of my hand and it stayed for about 12 hours. I really love it! I love these crayons! I’ve talked about them a lot before and they have been in a previous monthly favorites or two. They are back in the favorites this month since I’ve got 2 new colors and remembered how much I really love these! They are well pigmented and are completely matte. They are not creamy but they don’t dry out the lip. I really love these balms. I love this liner! I’ve talked about it in my Makeup Dupes post and in a monthly favorites and in other posts. I love this liner! It is smooth and pigmented, stays well and doesn’t smudge. I loved the original show offs so when they came out with matte I was all over it. I talked about them in my monthly favorites the month they launch. This month I got some new colors and remembered how much I love them! They have amazing pigment and dry to be completely matte. They aren’t drying to the lip and they stay put. I received a deluxe size sample of this bronzer from Ulta 2 weeks before its release and fell in love! It is the perfect bronzer color, not at all orange. It blends to matte and is buildable. I really love it! I did a full review of it on its release day. You can find it here. I love this hydrator! It makes my skin feel so much better. It has really helped the dry skin on my forehead and it just two used my skin felt softer. It has really helped my skin and it feels so much healthier. I love this candle! It is my favorite candle! I love vanilla scents and this one is the best! I bought myself a 3-wick size for my birthday. I got it and another 3-wick for $20! 1 3-wick is usually $22.50 but they were having a 2-$24 sale and the lady working there gave me 20% off. Great Birthday present from me to me. This was the other 3-wick candle I got. It smells so good. It reminds me of my aunt’s apple cake. It brings back a lot of childhood memories. I told you I liked vanilla based candles. This is like the B&BW Vanilla Bean but sweeter. It’s just a really really sweet vanilla. I love it! Fuller House if you didn’t know is a reunion of Full House, a family sitcom from the late 80’s to 90’s. I loved watching Full House reruns when I was younger and I was so excited to hear about the reunion show. The full first season of Fuller House was released on Netflix on 2.26. It is about DJ, the oldest daughter of Full House, moving back into her family home about her husband dies and she is left to take care of her 3 sons alone. Her sister Stephanie, the middle daughter, and DJ’s best friend, along with her daughter move in to help DJ raise her kids. Its plot is very similar to that of Full House which was about Danny Tanner having to raise his 3 daughters after his wife dies and his best friend and his wife’s brother move in to help raise the girls. It received some negative feedback because of its similarity but I love it! The show made a lot of references to Full House and really brought the nostalgia. However, as the season progressed it did become its own and I look forward to season 2. The 100 is finally back for its 3rd season and I love it! If you don’t know the show it is about Earth 97 years in the future about everyone was wiped out from a nuclear war. There were 12 space stations in orbit around Earth at the time of the war and the came together to form The Arch. After 97 their air filtering systems are failing and they must find a way to survive they send 100 kids to earth to see if it is inhabitable. Soon about after arriving the 100 encounter “the grounders.” People who have survived on Earth since the bombs. When season 3 starts the people of the arch are on the verge of war with the grounders. Clark, one of the original 100 tries to make peace with the leader of the grounders but the new leader of the Arch is making it difficult. Season 6 came back from hiatus this month and 3 episodes in and it’s really good. Episode 9, No Way Out, was straight out of the comic books. Season 6B is really following the comics. I love it! The Martian is about a man you is on an exploration to Mars and during a very bad sandstorm his team thinks he was killed and accidently leave him behind. He has to find a way to survive on his own until NASA can send a rescue pod. Matt Damon was amazing in this movie and I really loved it! I’ve been on snapchat for a while but I’ve just gotten into it this month. I never really checked it or got on it until I followed mmitchelldaviss. Mitchell is a YouTuber. He makes some pretty great videos, well when he uploads they are always great, but he does “snapchat filter reviews” every day. He has uploaded the last 2 months of his snapchat filter reviews to his YouTube channel and they are hilarious! I gave my blog a head to toe makeover and I love it! It looks so much better than before and I just love it! That's it for this monthly favorites! 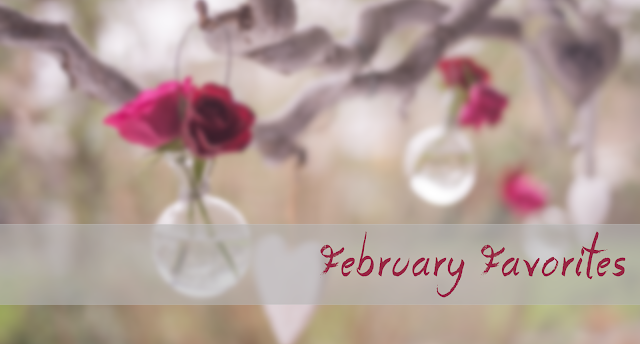 Let me know what you love this month in the comments! Photo Credit: background from pexels.com and edited by me.